I Promise It's a Journaling Class! 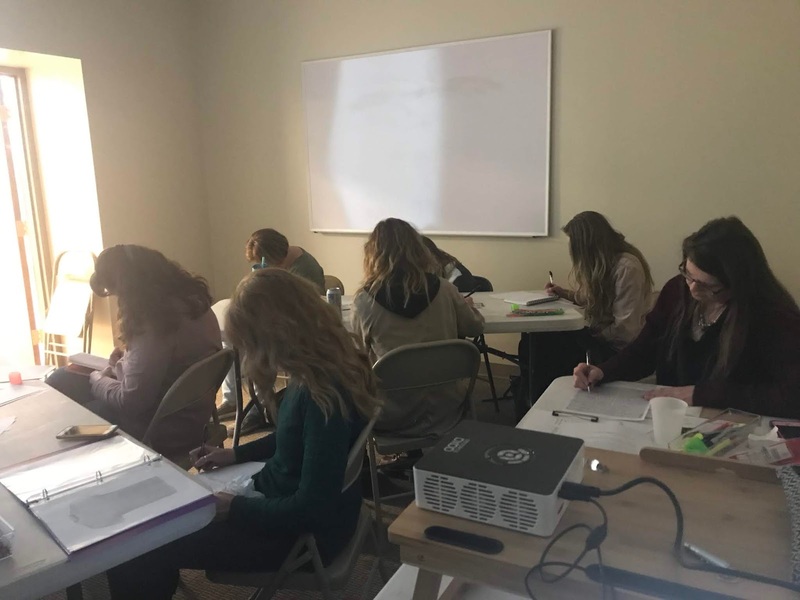 Therapeutic Writing Facilitation: KnewMeJournaling Instructor, Laurie Benson, offers therapeutic writing courses for people who want to get to know themselves through the power of the pen. Great workshops for timid journal writers, future poets who know that poems don't have to rhyme, and people who are recovering from trauma. Also a wonderful way to take time for yourself to write your stories with support from a trained facilitator. This journaling class titled, "Body Works" looks more like a workshop for aestheticians! Such beautiful women, and one handsome guy and his dog (not shown in pic) were brave and honest as they journaled their way through writing activities that included Reflexology Discussions, Chakra Writes, Snapshots of Time, The H.A.L.T. principle for recovery, Maslov's Heirarchy, and finished with our Family Tree and where we came from. Watch for new workshops beginning in June! Can't wait to write our insides out with new friends!